The struggle is real when it comes to keeping the whole family happy at mealtime. How do you make sure everyone is eating without turning into a short-order cook? How do you encourage kids to eat without pressuring them? What is the best way—realistically—to get kids involved in meal prep? Lauren Sharifi is a registered dietician and nutritionist with a passion for helping families make eating fun, simple and nourishing. In addition to being the mom of a toddler, she serves as a nutrition coach in private practice in the Boston area, offering nutrition counseling, medical nutrition therapy and meal planning services. Lauren’s food philosophy aligns with intuitive eating principles, and she takes a Health at Every Size approach to nutrition. She also teaches children’s cooking classes at Kids’ Test Kitchen and shares easy-to-make, family-friendly recipes on her blog, Bite of Health Nutrition. 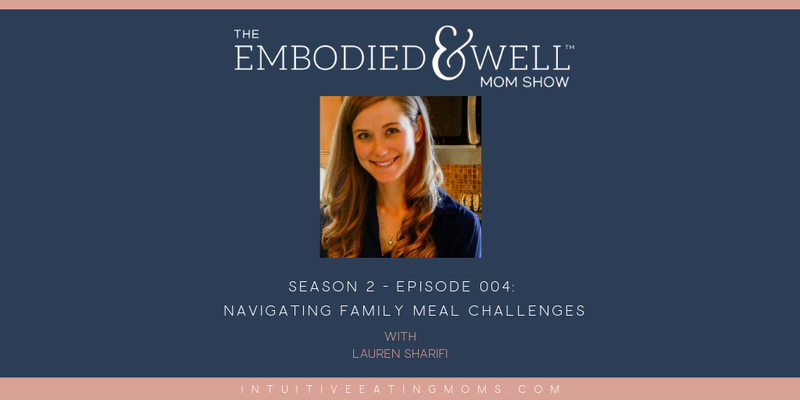 Today, Lauren joins us to explain how the transition to motherhood helped her find her niche as a dietician and share her new focus on families, kids and intuitive eating. She offers advice around age-appropriate ways to get kids involved in meal prep and encouraging kids to eat without provoking anxiety—in the parent or child! Listen in for Lauren’s insight on leveraging ‘division of responsibility’ to make sure everyone is eating at mealtime and learn how to navigate the most common family meal challenges. The struggle is real when it comes to keeping the whole #family happy at #mealtime. How do you make sure everyone is #eating without turning into a short-order cook? How do you encourage #kids to eat without pressuring them? What is the best way—realistically—to get kids involved in #mealprep? 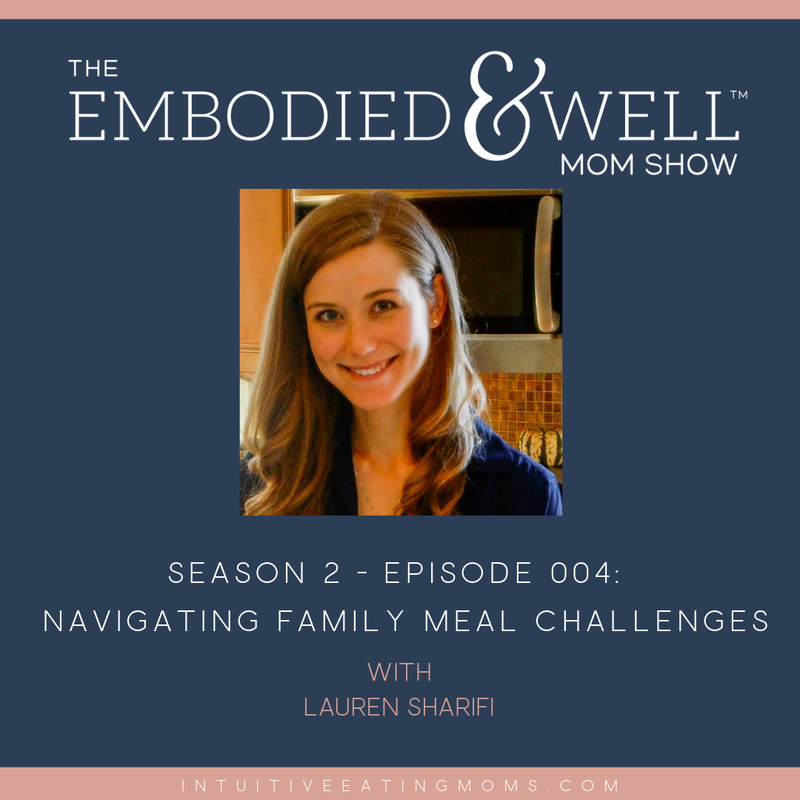 Listen in as RD Lauren Sharifi of @BiteofHealthNutrition explains how to navigate the most common family #meal challenges!